While no one can argue that a smooth top electric cooktop is more stylish than the traditional coil element type, it does need more care to prevent discoloring and scratching. Regular cleaning is also different than how you would clean an older style coil cooktop. And the homemaker needs to be proactive with cooktop cleaning and care to keep this style of cooktop looking good. Here's a list of things to avoid if you have a smooth top electric cooktop range or built-in counter cooktop. While there's no guarantee that these tips will protect your cooktop, they do help considerably. And cleaning the cooktop regularly will also help to preserve the smooth, clean look you fell in love with when you bought your range or cooktop. Do not use cast iron cookware on a smooth top cooktop or range. The bottoms of cast iron cookware are usually very rough, and any movement of the pot on the cooktop can leave scratches. Other cookware that can scratch the glass is ceramic and stoneware that have unfinished, rough bases. Keep these instead for oven bakeware. Skillets or pans with rounded edge bottoms are not recommended. Pans that sit flat on the cooktop will perform better when it comes to even heat distribution. They will also be more stable on the smooth top. The same is true of rounded edge stovetop griddles; some tend to rock, and heat does not distribute properly. Never use abrasive cleaners or metal pads which can scratch; instead, use a soft sponge or cloth and cream cleaning solutions made for ceramic or glass cooktops. Avoid dragging heavy pots on the cooktop; rather lift and transfer to another area of the cooktop to reduce the risk of scratching. Keep the bottoms of skillets and pots very clean. 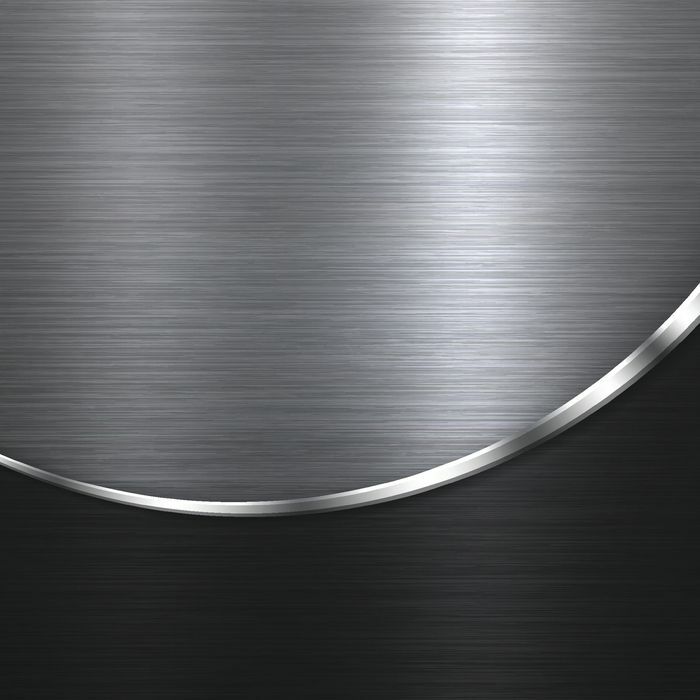 A build-up of grease on pan bottoms can leave aluminum-looking rings or cause marks on the cooktop. These sometimes can be removed with cooktop cleaner, but they are often very difficult to clean off. When boiling or cooking with sugary substances, take care not to spill these on a smooth top cooktop. A sugar substance can discolor the cooktop, leaving yellowish areas that are impossible to remove. This is more noticeable on white or light gray cooktops. Clean up such spills quickly. Never stand on top of (to reach ceiling height) or place anything overly heavy on a smooth top cooktop, even temporarily. 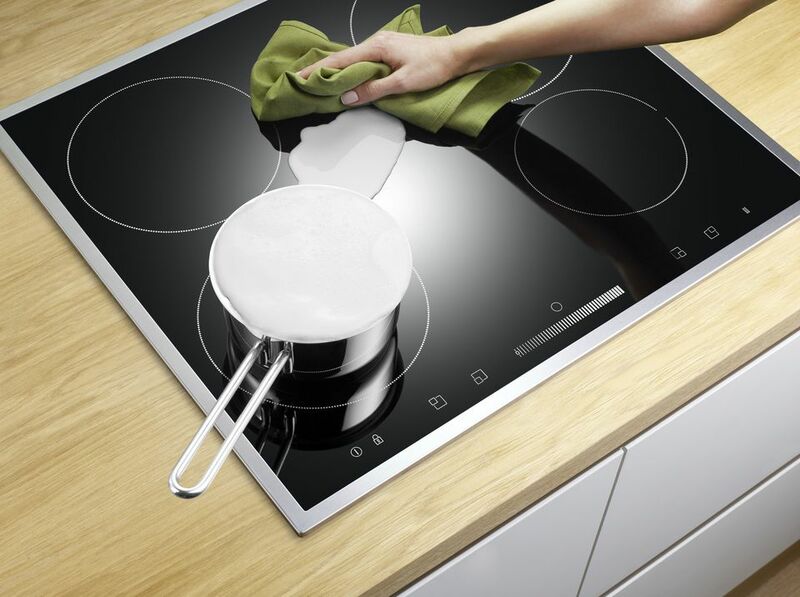 The glass may appear to sustain the weight for the time being, until the cooktop is heated, at which time it could break or shatter when the glass or ceramic expands. Avoid placing stirring utensils on a warm cooktop while you cook. Food on these utensils can mark or burn on the cooktop, leaving a mess that needs more time to clean. Do not place hot glass bakeware (from the oven) to cool on a smooth top cooktop. Glass bakeware must be placed on a dry towel on a counter to cool. Though you may have to clean it more often and be careful of what you to do on a smooth top electric cooktop, you will enjoy your new cooktop, and the extra care is worth it.